We offer a wide range of winter holiday opportunities in the Italian Dolomites – on- and off-piste skiing, snowboarding, snowshoeing, and cross-country skiing. What’s more, we promise you a unique, customizable experience that caters to your every need. Call today! Dolomites Mountains Ski Holidays – Skiing in the Italian Alps! Skiing, Snowboarding, Touring, and more – the Dolomites have all the ingredients for the perfect winter skiing holiday! 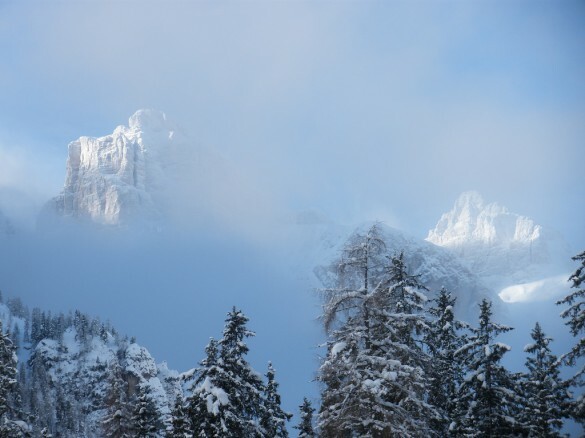 The Dolomite Mountains are simply breathtaking in winter – a pristine mountain landscape blanketed with snow. These incredible peaks and long valleys provide extraordinary terrain for winter sports, and have become famous the world over as one of the most beloved areas for winter enthusiasts. Boasting over 5,000 vertical feet of skiable terrain, lift-service and off-piste adventures at the number one ski resort in the world, countless miles of backcountry trails, and almost 800-miles of groomed cross-country tracks, the world-renowned Dolomiti are a winter sports paradise! Snowshoeing Adventures – just like hiking on snow! Just pick the type of itinerary that is right for you, and we’ll take care of the rest! The Dolomites offer something for every one in winter – families, beginners, and champions alike. You’ll find world-renowned slopes in the charming Italian atmosphere of the Cortina d’Ampezzo region, the tri-cultural Alta Badia valley under the Sella Group, the towering peaks of the Val di Fassa and Val Gardena regions, and beyond. The winter vacation of a lifetime awaits you in the Dolomites! PUT YOUR SKI HOLIDAY IN THE HANDS OF OUR PROFESSIONAL GUIDES! 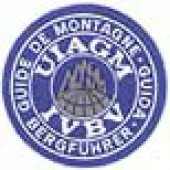 the highest mountain guide qualification in the world!